Camping in the Cotswolds is always an exhilarating, exciting and learning experience for so many reasons. Numerous camping and caravansites on both public and private lands are available for any individual who wants to get up close and personal on so many enjoyable levels with Mother Nature. And with over 2,000 square kilometers of land area, Cotswold England always has something to offer for the intrepid camper. Just like any camping expedition, however, it is always best to come prepared for any eventuality. Although many of the camping and caravan sites offer modern amenities like electrical hook-ups, showers and toilets, even stores from which to buy essential supplies, it is still advisable to know the basics. 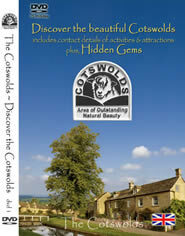 Keep in mind that camping in the Cotswolds has rules and regulations mainly because Cotswolds is a designated Area of Outstanding Natural Beauty – the largest in England, as a matter of fact. Local and national authorities understandably want to protect it so that present and future generations can enjoy its spectacular environment. Before coming to a certain camping or caravansite, it is best to ask about the rules and regulations just to be on the safe side of the law and of the landowners. The most common rules are obviously leaving nothing behind – trash, human or otherwise – and taking nothing except good memories of your great time while camping. Respect for the environment is always a good practice anywhere you may find yourself. Camping in the Cotswolds can be done almost any time of the year. The weather in Cotswold is usually favourable to all sorts of activities with cool springs, warm summers, crisp autumns and mild winters. Yes, even winter is great for camping because the temperature rarely drops below freezing although there is a crisp quality to the air and morning frostiness. The trick is in packing the right gear for the season. Winter obviously requires dressing up in layers with gloves, scarves and hats as musts while summer, spring and fall require lighter clothes. Don’t forget to pack the right kind of camping gear, too. You will find websites with complete checklists of camping supplies, tools and equipment so download these lists, purchase the items, and then pack accordingly. Remember that enjoying camping in the wilds in Cotswolds England requires careful planning. And yes, it helps to read books and even attend courses on wilderness survival skills. You never know when you need to light a fire using the old stone-against-flint method. So, where can you go camping in the Cotswolds? We suggest the Bracelands Caravan & Camping Park and Christchurch Caravan & Camping Site in Gloucestershire; the Anitas Touring Caravan Park and Barnstones Caravan Site in Oxfordshire; and the Gopsall Hall Farm and Fern House Farm in Warwickshire, among others. Folly Farm Cotswold Camping has had very good reviews. It is a family run site and is only 2.5 miles from Bourton-on-the-water located above the village of Cold Aston.Two public footpaths run through the site making it ideal for walkers and cyclists. Pubs close by include the Black Horse in Naunton and The Hollow Bottom in Guiting Power. Rates are reasonable and the managers are very helpful.